Mary & Matthew's Wedding. . HD Wallpaper and background images in the Downton Abbey club tagged: downton abbey downton abbey costume drama season 3 mini series mary matthew wedding. 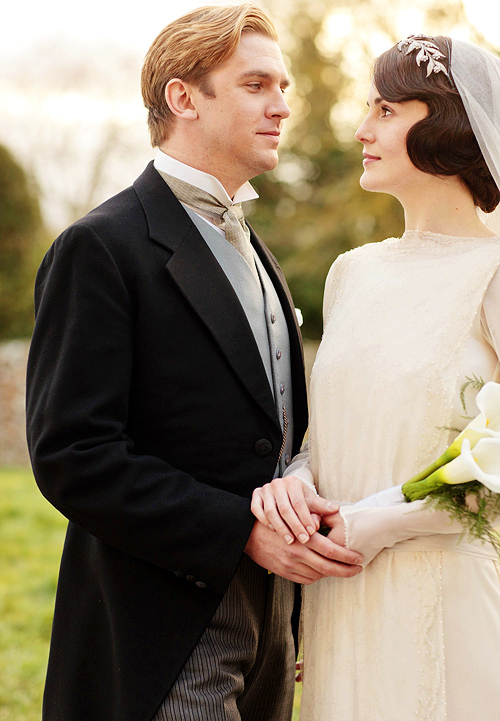 This Downton Abbey photo might contain traje de negocios, juego de negocio, and dama de honor.